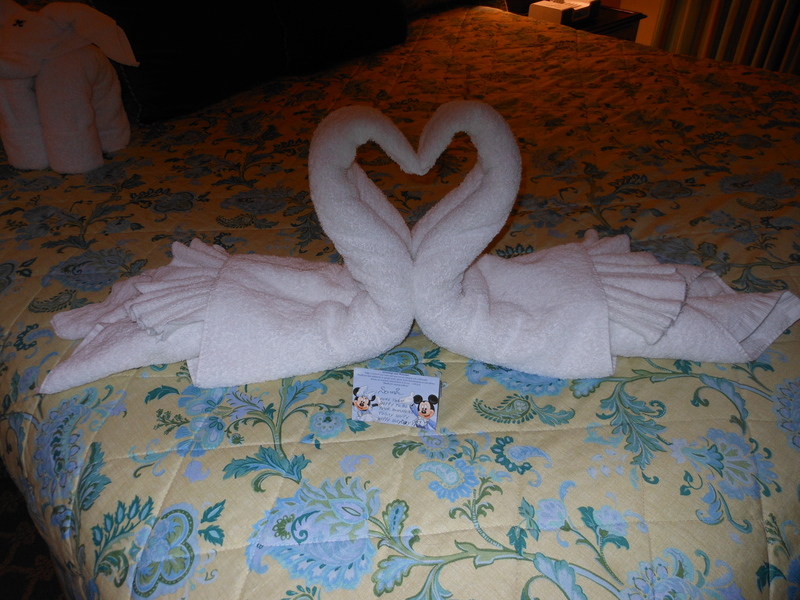 This looks like a cool hotel, ive never stayed somewhere where they make the towels into swans! Love the trees too with the pretty hat. Part of the Disney experience. We received an elephant, and a Mickey head. The housekeepers loved our room and kept showing it off to their co-workers. We left a nice tip for our favorite housekeeper – Naomi.